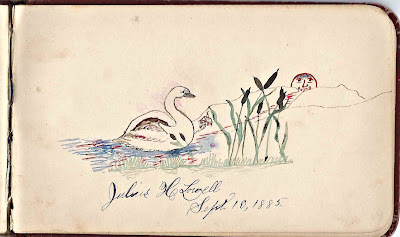 Note of February 27, 2016: See the comment section for a note from the granddaughter of Sarah's M. Sherman's twin sister Clarrie. 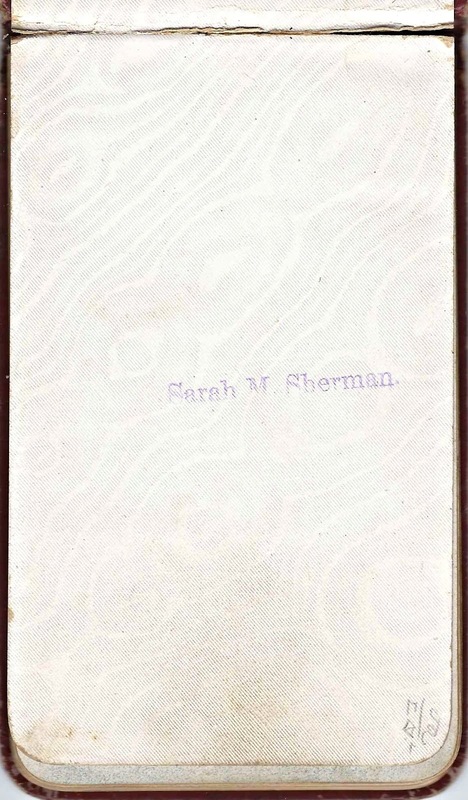 She notes that most of the Sherman sisters were teachers, including inscriber Mary Maude Sherman. 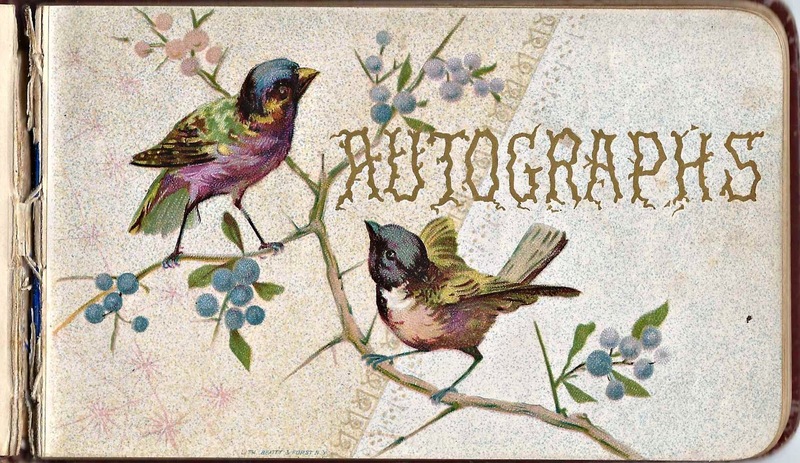 1880s autograph album that belonged to Sarah M. Sherman, presumably of Worcester, Massachusetts, since many of the autographs are from Worcester. 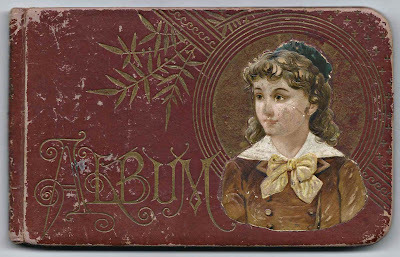 Sarah stamped her name in three places throughout the album. The page below is the first end paper. 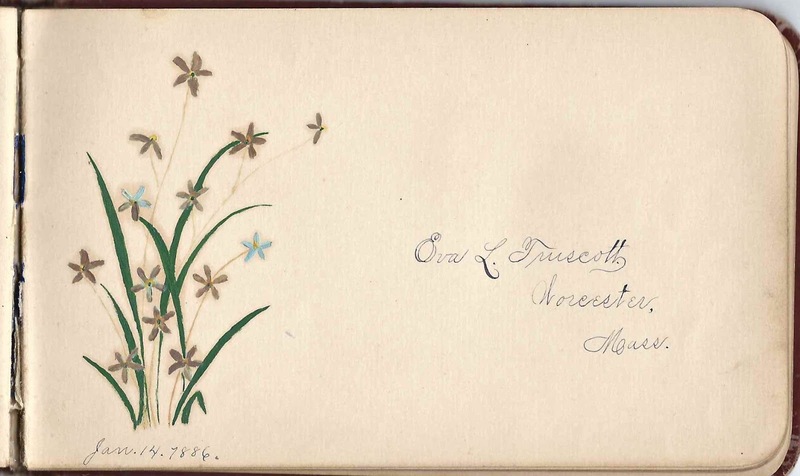 The album is approximately 5-3/4" x 3-3/4" and contains 31 pages signed by Sarah's relatives and friends, as well as several pages of drawings and the pages stamped by Sarah. Because of the many signatures from Worcester and the many signatures from Rhode Island, I'm guessing that this was the album of the Sarah Mabel Sherman who was born 15 March 1871 at Worcester, Massachusetts, the daughter of William Henry Sherman and Martha (Schofield) Sherman, who were born at Exeter, Rhode Island, and Milford, Massachusetts respectively. 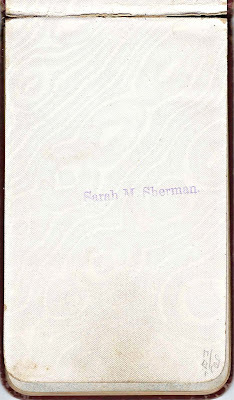 Sarah Mabel Sherman's paternal grandparents were Lawton Albro Sherman and Nancy (Sweet) Sherman. Her maternal grandparents were John and Mary Schofield. On 5 October 1899 at Amherst, New Hampshire, Sarah Mabel Sherman married James Melvin Jackson, son of James M. and Melissa A. (Lang) Jackson. Sarah and James lived first at Worcester, Massachusetts and later at Sutton, Massachusetts. They had at least one child, a daughter Frances S. Jackson, born in 1901. In the 1930 Census of Sutton, Massachusetts, James referred to himself as a widower. His daughter was living with him, as she was in the 1940 Census as well. If you have corrections to the information above or if you feel that Sarah M. Sherman is another person, please leave a comment or contact me directly. Eva L. Truscott of Worcester, Massachusetts, signed a page on 14 January 1886. 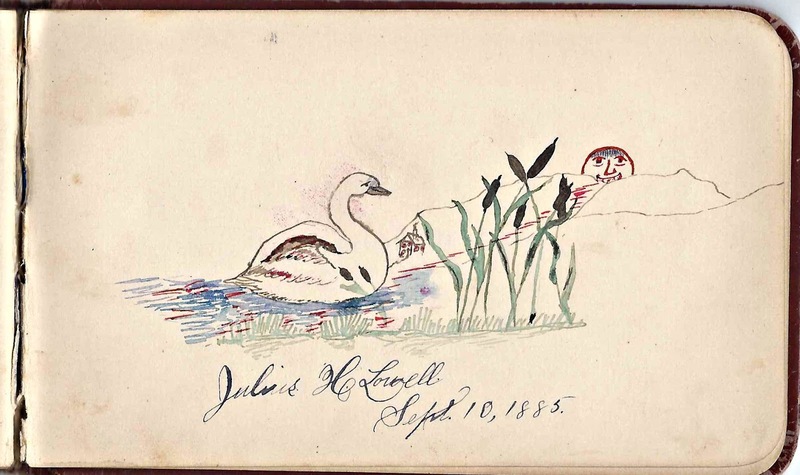 Julius H. Lowell signed a page on 10 September 1885. O. 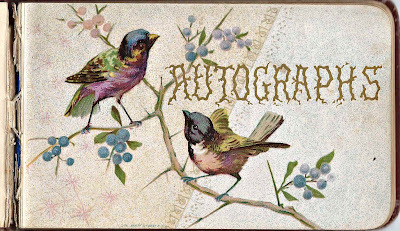 A. Kelley, Jr. of Worcester, Massachusetts, signed 17 March 1885. Oran A. Kelley, Jr.
Sarah was my grandmother's (Clarrie,a twin) sister! Thank you so much for posting this! Mary Maude was one of her sisters who never married; most of the girls were schoolteachers. Thank you for adding this! I'm amending the post to direct readers to your comment. Would this possibly be available for purchase? Yes, the album is available. My email address is at top right of this blog post, under Inquiries.